An Okanagan man has been arrested and a variety of explosives-related charges are expected to be forthcoming following a Combined Forces Special Enforcement Unit of British Columbia (CFSEU-BC) investigation in West Kelowna last week. Early in the last week of August, CFSEU-BC received a tip that a 36-year-old man was making explosive devices in his West Kelowna home and was in the process of moving to a home in Oyama. CFSEU-BC investigators arrested the man without incident at his home on August 28th and search warrants were executed at both the West Kelowna and Oyama homes. Officers found what is being described as “bomb-making equipment” in the Oyama home that consists of modified timers, batteries, igniters, dismantled shotgun shells, a container of black powder, and small wooden boxes fitted with wiring. No fully-built bombs or explosive devices were found. Also found in the searches were several compound bows, a crossbow, brass knuckles, two semi-automatic assault-style rifles with over-capacity magazines, as well as a small amount of marijuana. Early in the investigation it was found that the man was also bound by a prohibition order involving explosive materials, devices, and weapons. In addition to the breach of the prohibition order, charges of possession of an explosive substance, firearms, and controlled substance-related charges are being considered. The man has a criminal record and has been remanded into custody and transported to Alberta regarding an unrelated criminal matter. CFSEU-BC’s investigation is continuing and while it is unknown what the motive is, investigators are exploring the extent of his connections to gang activity. It is currently unknown if any devices made by this man have been used in criminal acts. This investigation is not in any way associated to national security and there is absolutely no indication or information to support that the investigation has any links to terrorism or extremism. 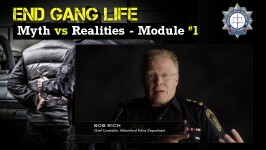 CFSEU-BC’s investigation is focused solely on the possible gang-related criminal activity and this investigation falls within the mandate of CFSEU-BC; to target, investigate, prosecute, disrupt, and dismantle the organized crime groups and individuals that pose the highest risk to public safety due to gang violence. CFSEU-BC would like to thank the West Kelowna RCMP Detachment for their assistance in the investigation.